On 29th November, Art Square Lab team facilitated national 5G Conference organised by the Service des Médias et des Communications in the European Convention Center at Kirchberg. This time we applied Open Space methodology which is a participant-driven process for running meetings or conferences, whose agenda is created by people attending. Every participant of the conference had a chance to run a discussion, workshop or a speech. In total 28 sessions were offered! 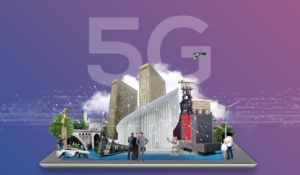 The doors were open to any company, organisation or citizen that are interested in contributing to the 5G pilot zones.